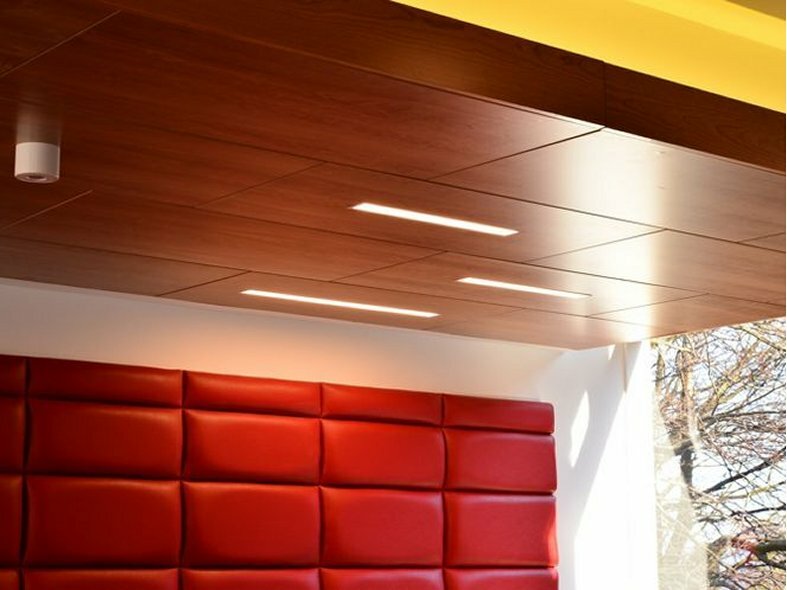 Armstrong has a stunning range of wood ceiling tiles and panels, bringing the warmth and natural beauty of wood and giving an almost endless choice of high performance linings for buildings without any loss of acoustic performance. Wood can make a structure simple and elegant, sleek and modern, classic yet cool, and skillfully used, it can create exactly the ambience needed to make any space special. No two pieces of wood are ever identical, making every wood ceiling unique. The wood ceiling panels and tiles are compatible with Armstrong's ceiling grid system, making installation very easy as well as allowing access to the plenum for HVAC and electrical maintenance. 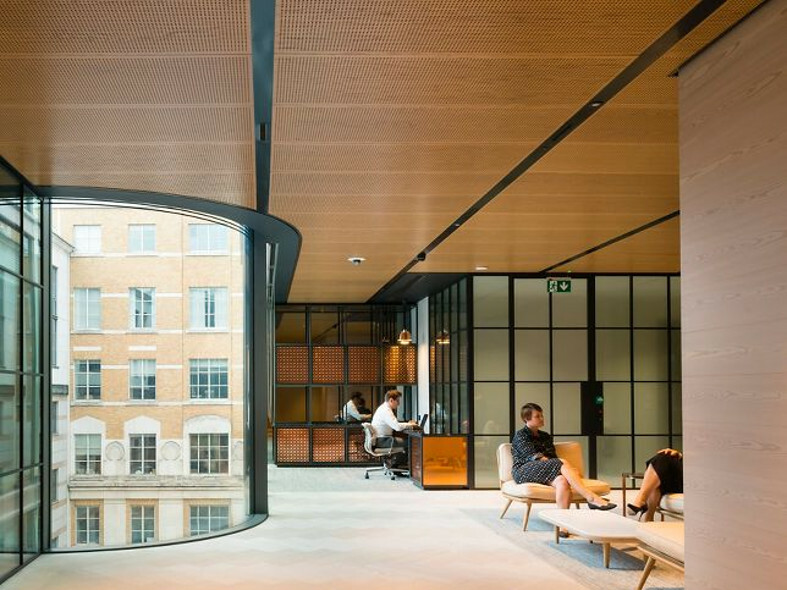 The wood ceiling panels feature the patented Vector edge detail to produce a 6mm reveal that minimises the visible grid, and so creates a ceiling that is much more monolithic in appearance than ordinary suspended ceilings. The wooden ceiling range has a wide choice of real wood veneer finishes and design formats. No other material can provide the range of colours and patterns of one of the most natural building materials. Several perforation options are available for the veneer range, circular or grooved for improved acoustical performance. 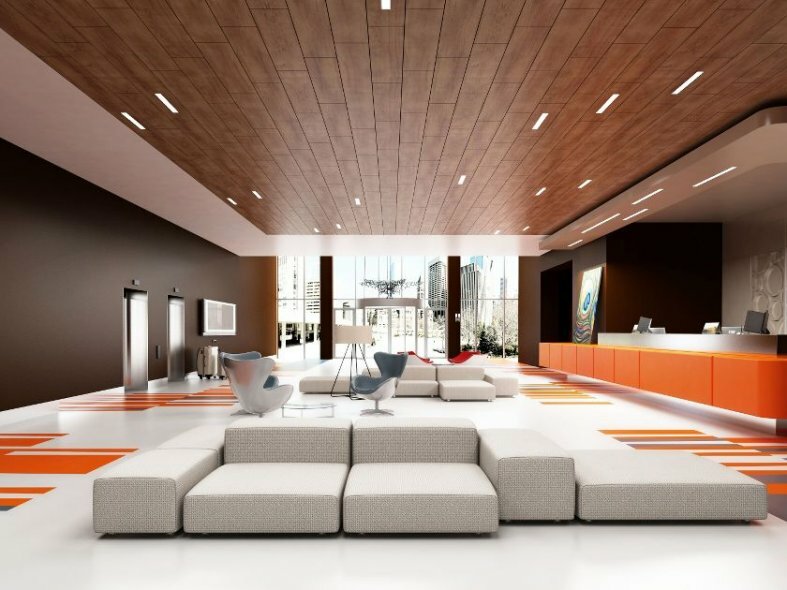 Designers and architects are increasingly choosing Armstrong systemised wood ceilings to add an extra level of luxury to buildings.